Take a free He Whakaputanga tour. He Whakaputanga New Zealand’s first constitutional document. 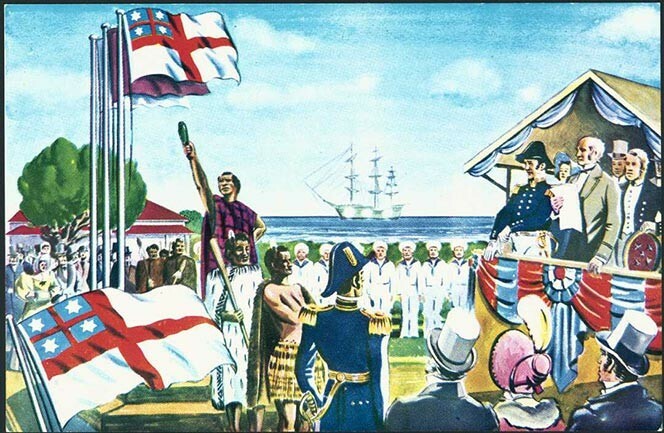 He Whakaputanga o te Rangatiratanga o Nu Tireni, The Declaration Of Independence of New Zealand was debated, agreed upon and ultimately signed by 34 rangatira at Waitangi on 28 October, 1835, and later by another 18 chiefs from the north and elsewhere, through until 22 July 1939. He Whakaputanga is New Zealand’s first constitutional document — a document that defines the existence of the nation, who is in control of it, and how it will be run. It is also one of the earliest assertions of Māori identity beyond separate iwi and hapū. The document marked steps toward a unified form of governance among the many different rangatira and their hapū and iwi. The document is inseparable from the Treaty of Waitangi and the issues that shape Aotearoa New Zealand. He Whakaputanga remains a taonga of great significance today.